Boxing has a proud history and growing up in the 1970s, there was nothing that could top the battle for the World Heavyweight title and the return of Muhammad Ali. The division has had its problems in recent years but there’s a long way to go before it can reach the great heights of that decade. For starters, the division wasn’t split with several world champions as it is now. When you asked anyone who the World Heavyweight Champion was, they’d give you just one name, whether that be legends such as Joe Frazier, George Foreman and of course the greatest of them all, Muhammad Ali. Joe Frazier defeated Muhammad Ali in the "Fight of the Century" in 1971. The boxing world lost one of its greatest champions Monday night with the death of former Heavyweight Champion Smokin’ Joe Frazier at the age of 67 following a brief battle with cancer. 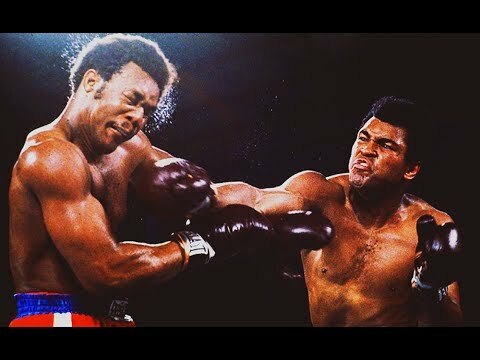 Though he is probably best known for losses in the ring to Muhammad Ali and George Foreman, Frazier did defeat Ali in the “Fight of the Century” and was a key figure in what could be considered the greatest era in modern boxing history. In the 1970s, being the Heavyweight Champion of the World was as important a title as any in sports. 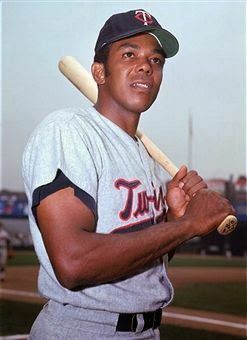 From humble beginning, Frazier went on to proudly hold the undisputed title for nearly three years. Born and raised in Beaufort, South Carolina, Frazier moved to New York in 1959 and soon became one of the top amateur fighters in the Northeast. He won the Middle Atlantic Golden Gloves heavyweight championship three straight years from 1962-64 and was the only American boxer to win a gold medal at the 1964 Olympics. 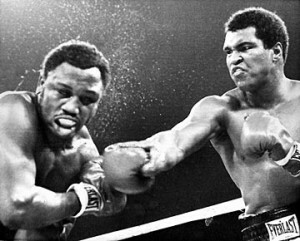 The Thrilla in Manila marked the completion of boxing's greatest trilogy. It was 35 years ago, October 1, 1975, that one of the great rivalries in sports history reached its climax with the third and final meeting between two of the great heavyweight boxers of their era. 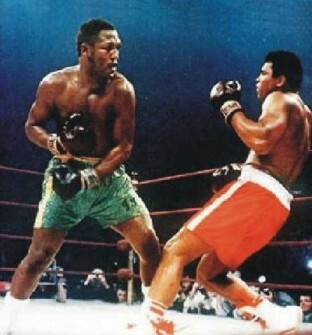 For both Muhammad Ali and Joe Frazier, the “Thrilla in Manila” was a defining moment in their careers. For Ali, the victory secured his place as one of the great boxers of all-time. While for Frazier, the loss ensured that he would never be recognized as the top fighter of his era. Another loss a year later to George Foreman ended his tenure among the boxing champions. Whether it was hype or real, the two men didn’t seem to like each other very much. 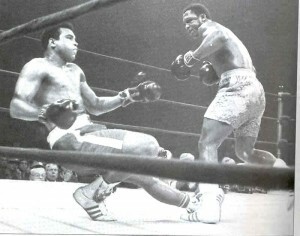 Ali was constantly needling Frazier, an obvious attempt to get into his head. The two men once fought on the set of ABC’s Wide World of Sports and represented vast differences in African American society of the 1970s. But in the ring, they were both warriors and their three fights were among the greatest in boxing history.